Free is a new four-letter word. Walking is, after all, still free. On a Sunday night drop-in at Otto’s Shrunken Head. A long line-up of bands with short sets and big hair. All night in the back room of NYC’s only Tiki lounge. Every Sunday is lucky Sunday when Margaritas cost 3 bucks and are served in glasses that could float two scoops and root beer with a thick head of foam. Can a $3 jumbo cocktail tickle like the silken strands of muddled ginger in the Ginger Fig Martini at GPH’s Jade Bar? But it doesn’t cost 19 loot-cakes either. Let’s face it, 3 bucks is nearly free. And if ginger is your poison, order the Scurvy Dog. It’ll immunize you from scurvy and from rabies. The drink includes a down payment on the Tiki mug. Keep it. It’s as good as free. Head to the back room for the live acts. MC Frank Wood’s jokes are so old, he can’t give em away. Which is less than free. After Tyrone Noonan’s honeyed set, The Pirates of the Caribbean pinball game beckons; wherever I move in the room Johnny Depp’s pirate peepers lock on me like the Mona Lisa’s at Le Louvre. 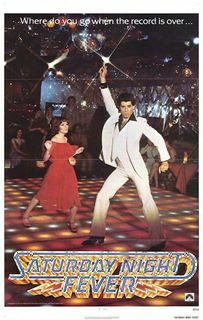 Drop in a few coins and this game flashes brighter than the floor under Tony Manero’s dancing shoes. At five games for 2 bucks it’s practically free and all the easier to declare yourself a pinball wizardess. “How much?” a patron asks the bartender. There was something called free love during the Summer of Love. Free love is really a euphemism for something else. Love, seemingly free, accrues a cost. Most agree it’s a worthwhile investment. The end of love is called divorce. It is far from free. Costs a bloody king’s ransom.